Joshua Melo Suicide Memorial - Suicide.org! Joshua Melo Suicide Memorial - Suicide.org! Joshua Melo Suicide Memorial - Suicide.org! "I had to cut my son down from the tree," said John Melo, father of 15-year-old Joshua Melo, who died by suicide after being relentlessly bullied because some students thought that he was gay. "I told the kids at the funeral that if you don't get together and confront the bullies, it will be your parents cutting you down. You guys have to stick together, stand up to the bullies, take away their power and they will back down. If you guys don't do it, the system won't." "All I could hear was John's screams," said Maria Melo, Joshua's mother. "He came in like a madman. Joshua was already so stiff. John couldn't pull him down. He was cold and John was hugging him. I started to scream." "[After Joshua was cut down from the tree], I just went outside and hugged him...I just hugged him," Maria said. "I told the coroner that I needed time to hug and kiss Joshua before they took him away." John has since removed the tree. "The tree is already gone," said Maria. "John cut it down and burned it." Joshua Melo was a sensitive, shy, polite, caring, talented, and intelligent 15-year-old 10th grader who attended Strathroy District Collegiate Institute in Strathroy, Ontario, Canada. Joshua hanged himself on November 26, 2004; he was suffering from severe depression after enduring endless bullying because some bullies at the school believed that he was gay. "Last Friday, Joshua couldn't take it anymore and took his own life," said John Melo. "Something went really bad and he just snapped. He couldn't take it anymore. Joshua was the type of boy to bottle everything up inside and this had been going on for a long time...It's more than heartbreaking." "He had been harassed daily," said John. "He had been subjected to constant homophobic slurs." "Joshua couldn't walk down the hall without someone laughing and teasing him," said one student. "It's like they were trying to torture him," said another student. "This situation makes me sick, real sick," said another student. "Joshua was a good guy. Many things have to change at our school. How could this have happened? How? This is horrible, and I think that the people who did this to Josh should be in jail. I am so sad about all of this." And another student said: "They hated Joshua because they said he was gay, so they called him every 'gay hate name' that they could. It just didn't stop. They never left him alone. And now I know they are happy he's dead." "Words can hurt as much – if not more – than violence, and here's the proof," said Joshua's aunt. Joshua was actually quite strong physically, and was close to receiving his black belt in Tae Kwon Do when he passed away. But Joshua did not believe in violence, so he never used his fighting skills against any of the bullies. And Joshua was a gentle, extremely shy, and very sensitive young man who did not like to argue or confront others. So he did not say a thing in response to the relentless verbal assaults. "Joshua was an easy target," said Shelley Carrier, whose daughter was close friends with Joshua. "Although he was an accomplished martial artist, he wouldn't fight back. He was one of the sweetest young guys you'd ever meet. He's the type you'd want to marry your daughter. He was full of compassion and caring and wouldn't hurt a fly." Unbelievably, some of the students continued to badger and disrespect Joshua even after he passed away. "Some teens wouldn't stand when the school held a moment of silence for Joshua," said Carrier. "And others said that he 'deserved to die.'" Mean words can hurt, which they never knew. You couldn't take any more. By your family and peers. They pushed you to the edge. God help his family and friends. Rest in peace Joshua David Melo. Many parents and students believe that the Strathroy District Collegiate Institute could have prevented Joshua's suicide if they stopped the bullies. And many believe that school administrators have not responded to Josua's death properly. "Nothing was done [to stop the bullying], and now it's too late," said Natalie Moniz, Joshua's aunt. "I was angry," said Shelley Carrier. "I was very angry – that someone could reach this point in their life that they thought this was the only way out. Bullying has got to be stopped and it can't be unless teachers get more rights and programs are brought into the school... When you hear more and more kids teasing you, you can't conquer a whole school." "The system won't [stop the bullying]," said John Melo, Joshua's father. And speaking about the lack of response from the school after Joshua's suicide, John Melo said: "All we've got is political stuff from the principal. They say they couldn't control what was happening in the hallways. What kind of a system do we have?" And Joshua's aunt said: "Even if they were aware of what was going on, there's nothing in the school system to suspend kids for bullying." School principal Ron Newnes said that he would not comment until "internal probes" were completed. Josua's family and friends, and the community at large, certainly deserve a more sensitive, thoughtful, and meaningful response than what the principal has offered. Josua's suicide has caused tremendous tension among students and has divided Strathroy District Collegiate Institute. "Some kids have tried to retaliate against the bully," said Shelley Carrier. "The situation [at school] was getting ugly," said Joshua's aunt. "Some students were being 'hunted down' by others and the police were needed." Many parents and studens were hoping that the bullies would legally be held accountable for their actions. But Strathroy Police have investigated Joshua's death and have closed the case. And although the police will not charge anyone with a crime, there is a word for what happened to Joshua – bullycide. It may not be a legal word...but it is a powerful, dangerous, and real word, for a horrible act – bullying someone to the point where he feels he needs to kill himself to stop the bullying... bullying someone to the point where he becomes severly clinically depressed and cannot go on. Bullycide is real. Very real. And the sick, cowardly losers who bullied Joshua committed bullycide. No, they did not kill Josh with a gun or a knife, they used something more insidious – hate. I have received numerous e-mails about Joshua, and it is very clear that Joshua was loved by almost everyone at Strathroy District Collegiate Institute. So let us focus the blame on those who really caused Joshua's death. And that blame should be placed on the weak shoulders of the punks, the pathetic lowly losers and cowards – the bullies – who committed the bullycide. And the blame should be placed on the administration, which was completely lacking in appropriate anti-bullying and suicide prevention policies and actions. Joshua Melo was a very talented young man. He was an excellent artist, an outstanding athlete, and a great student (he recently received an award for academic achievement). He loved animals, especially birds; enjoyed listening to music and going to concerts; and loved to dance. 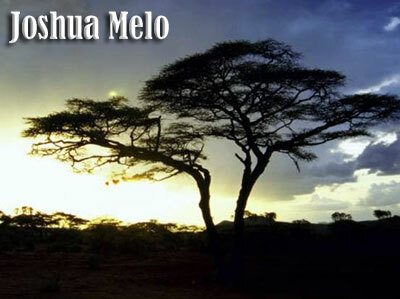 And Joshua Melo was a great person. "He was a good boy from day one," said Maria, Joshua's mother. Joshua Melo is survived by his parents, John and Maria; brothers, John Jr. and Chris; and his sister, Jenny-Lee. And if you are depressed please make appointments with a medical doctor and a therapist so you can be evalutated. Students, parents, school administrators, and teachers all need to work together to stop bullying. All schools should have a ZERO-TOLERANCE bullying policy in place. Please click below to learn more about bullying and find out what you can do to prevent bullying. STAND UP TO BULLIES AND STOP THEM NOW! And remember that all bullies are cowards. Make sure that your school has a ZERO-TOLERANCE anti-bullying policy in place. Administrators, teachers, parents, and students – contact your principal and ask him or her what the anti-bullying policy is at your school. And if no policy exists, make sure that a strong, serious, zero-tolerance anti-bullying policy is implemented immediately. And do not take "no" for an answer – because bullying can kill. End bullycide. Make our schools safe. TAKE ACTION. And ALL schools should have a suicide prevention program. Period. If your school does not have a suicide prevention program, then you need to start one as soon as possible. Whether you are an administrator, teacher, parent, or student, please make sure that your school has a suicide prevention program. Contact you principal as soon as possible and let him or her know that a suicide prevention program is IMPERATIVE and URGENT. And there is NO valid excuse not to implement a suicide prevention program. It is FREE. Get started TODAY...because suicide is always urgent.